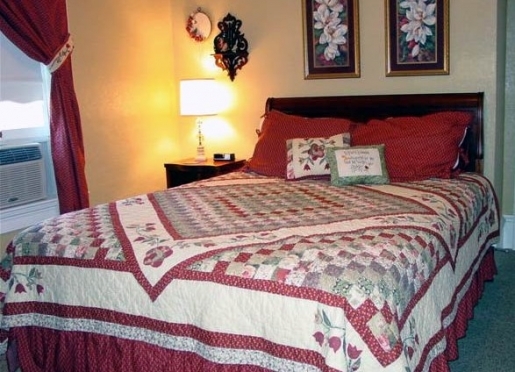 Come and relax and rejunivate as you enjoy a supervalue vacation break or a romantic get-away at Charlie-Jane's Bed & Breakfast in Mount Ayr, Iowa. This grand Victorian home is decorated with antiques, oak woodwork and family treasures. You'll enjoy resting in one of the 3 delightful bedrooms upstairs and dining on our homemade breakfasts. You could also take advantage of our "Extend A Stay" rates or one of our Special Lodging Packages. Charlie Jane's is located in the rolling hills of Ringgold County, Iowa, in the peaceful, well-kept town of Mount Ayr. We know you will enjoy walking and shopping in our peaceful community, and getting comfy on one of the wrap-around porch chairs. For more information agbout local attractions, please visit our Activities Page.We accept credit cards for payment. After enjoying a fun-filled day of shopping, antiquing, golfing or hiking, relax on the wrap-around porch and rock your cares away. Listen to the chirping of the birds and watch for the fireflies to begin to twinkle. Our lovely Victorian house was built in 1879 by the Timby family, who owned agricultural and business interests in Ringgold County. 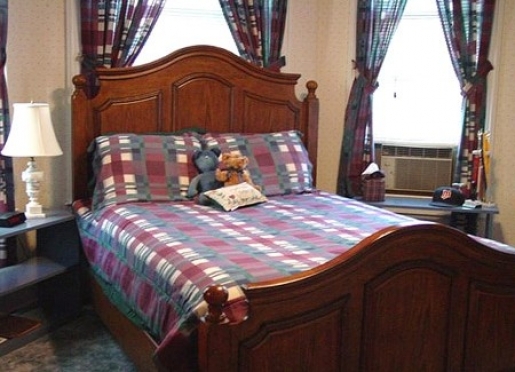 The B&B is within walking distance of shopping and restaurants. 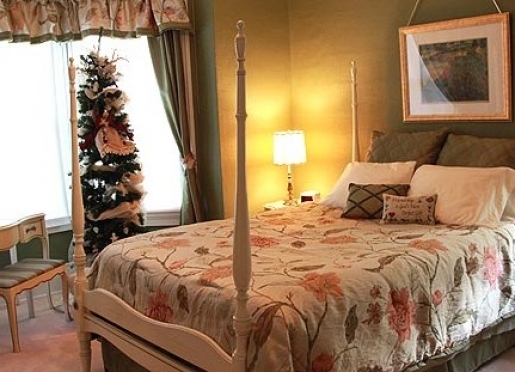 Whether you are celebrating an anniversary, proposing, planning an elopement or wedding or just planning a romantic trip Charlie-Jane's B&B innkeepers will take good care of you. 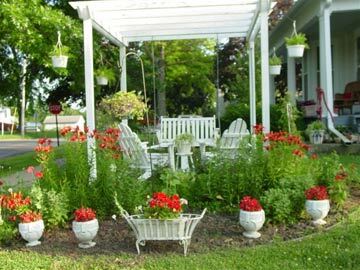 We invite you to relax in the friendly atmosphere of our peaceful, well-kept, small town of Mount Ayr. Whether you want to browse in our gift shops, sample local restaurants serving steaks to pizza, enjoy sitting on the wrap around porch, watch TV or curl up with a book on the sofa, we promise to make your stay enjoyable. We look forward to spoiling you at Charlie-Jane's! Mount Ayr is located 95 miles southwest of Des Moines, 130 miles southeast of Omaha, 50 miles south of Winterset, 23 miles west of Lamoni and 150 miles north of Kansas City. We are located at the Junction of Hwy 2 & 169. You will be able to see the sign in the yard and we will be waiting to welcome you!